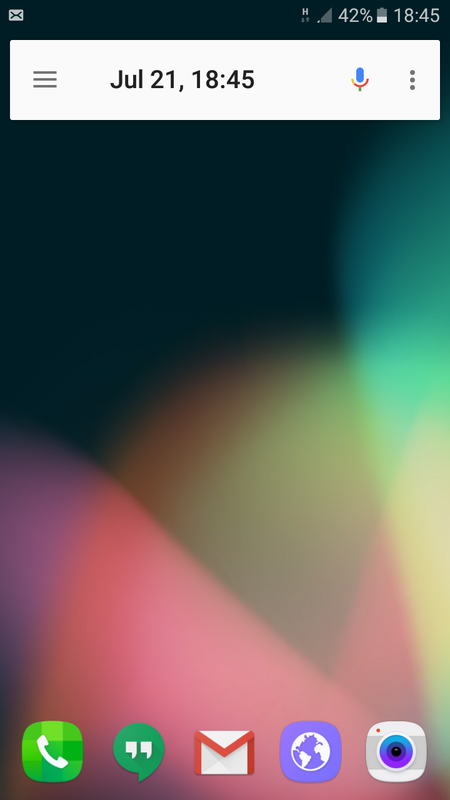 Android is all about customization and launchers are heart of it. 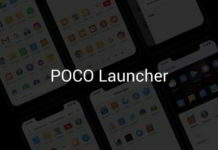 There are various third-party launchers already available in Play Store. People love it some much, so as we do and we have got a separate sub-category for it under the Android category, to list all of them. Some of the popular ones are Nova Launcher, Apex Launcher and ZenUI launcher. 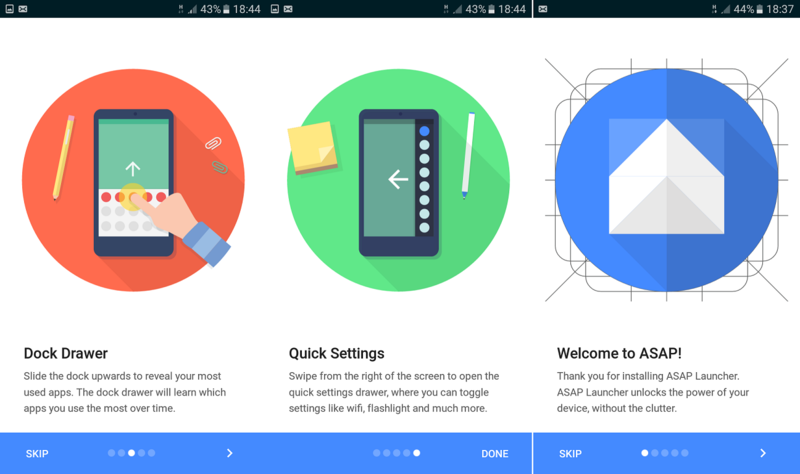 Here comes ASAP launcher for Android, which is the latest one added to the list and it comes with some cool features and has potential to be one of the best Android launchers. So what’s interesting about it? Let’s find out and also I have provided the link to download the ASAP Launcher apk if you are having trouble downloading it from Play Store. As soon as you install ASAP launcher, you will be taken through walk-through about it and it’s features. Now that’s important to read because it’s not just a traditional launcher, it’s quite unique. Don’t just skip, read on. 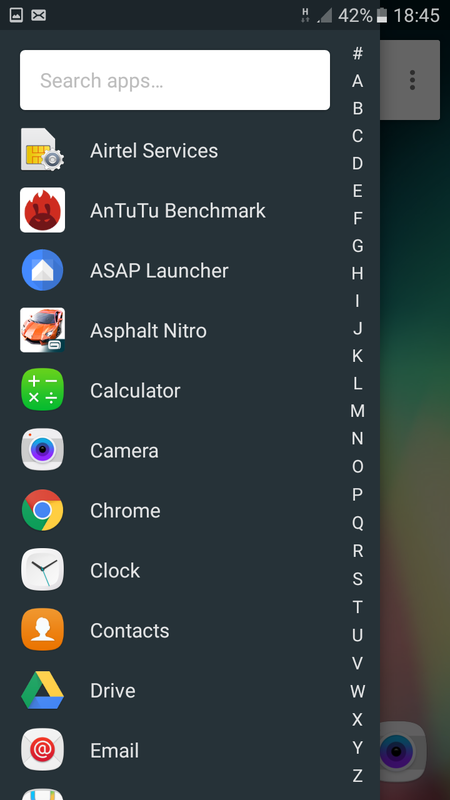 ASAP launcher doesn’t include app drawer, nor it has any home-screen, instead it uses all sides of your phone to manage everything. 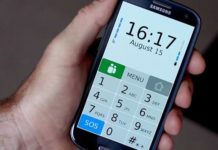 It might take sometime for you to get hang-on with ASAP launcher because it’s very different from any traditional launcher out there in the Play Store. 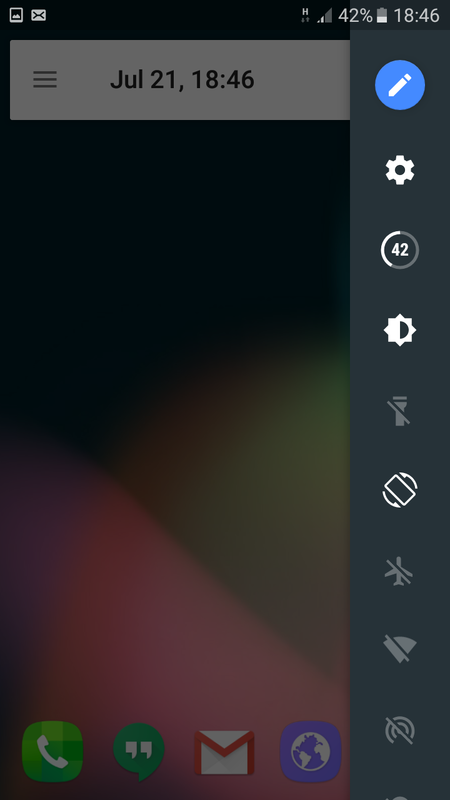 Just as I installed, I got this lovely homescreen, no other screen. Now you need to understand what will happen if you slide it from left of your screen or bottom or right side to the center. You have different things allocated. If you slide up from the bottom of your screen, you will get the recent apps that you have used. Some bloggers have positive review regarding it. Guys at Droidviews says that it’s the best Android launcher of 2016. 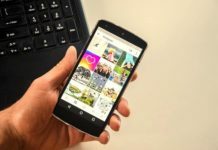 If you have got anything to discuss with the ASAP developer team, then you can join this Google+ Community.